Our new interactive majors e-magazine is hot off the cyber-press, heading to some 2,000,000 golfers worldwide this week. What’s all the excitement? This time it’s back-to-back U.S. Opens at Pinehurst No. 2, the Donald Ross masterpiece in North Carolina–men first, women the week after. 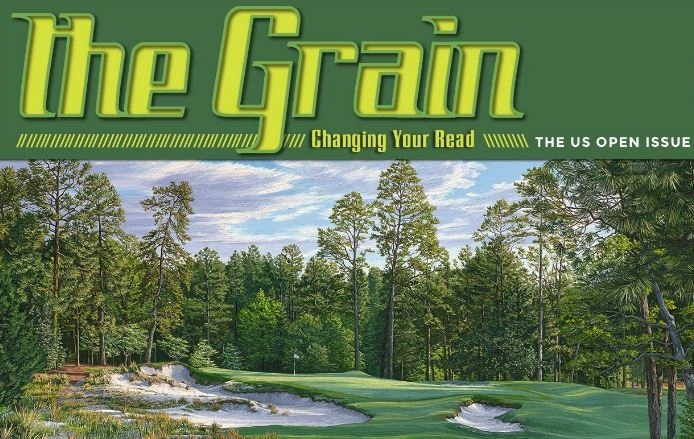 Head to the U.S. Open issue of The Grain here, for pieces that will let you know what to watch for during the competition, how to handicap the action, and hear from Pinehurst’s director of golf courses and grounds, Bob Farren. In our Top Ten list–the A List–ten of The A Position’s best writers describe the best men’s U.S. Opens of all time. (Let us know if there’s one you would nominate.) The players are vying for honor and glory, of course, but also a piece of hardware. 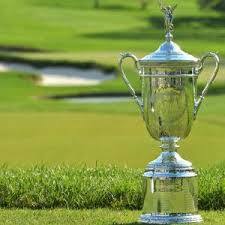 Jay Stuller provides a fascinating bit of background on the U.S. Open trophy itself. 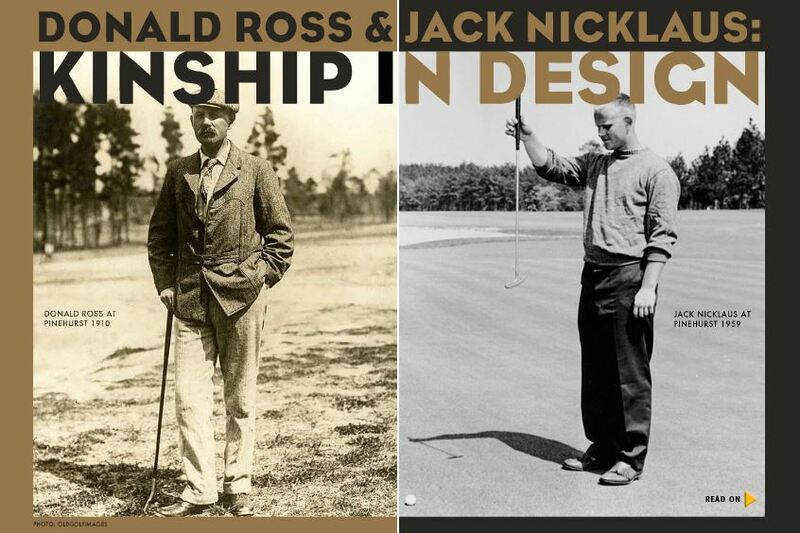 Connoisseurs of golf architecture can delve into John Strawn’s analysis of the unexpected similarities in style between Donald Ross and Jack Nicklaus. And as this gets you revved up to head outside and play, Tom Harack presents a sextet of other Donald Ross gems you can tackle around the country, and a Golf Road Warriors video examines the Ross masterpiece at the French Lick Resort in Indiana. Jeff Wallach presents his impressions as a first-time visitor to Myrtle Beach’s Grand Strand. And Jeff also provides a preview of the 2015 U.S. Open site, Chambers Bay in Washington. You just might encounter some side hill lies in your travels, but in a video our master instructor Roberto Borgatti will give you the tools to handle them with ease. >>Your own chance to not only play in Myrtle Beach, but to play in Myrtle Beach with Natalie Gulbis. >>Win a print of the Linda Hartough painting shown on our cover (above), of hole nine at Pinehurst No. 2. >>Score a four-night, six-round trip to Gaylord, Michigan for your entire foursome. >>Play a virtual 2014 U.S. Open for a shot at winning a grand prize trip to the 2015 Open. All this in The Grain: Changing Your Read: The U.S. Open Edition 2014.